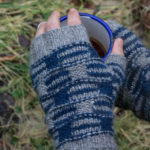 Smerral was designed to reflect my love of cold water and icy dips, with the mosaic pattern echoing the ripples on the water. 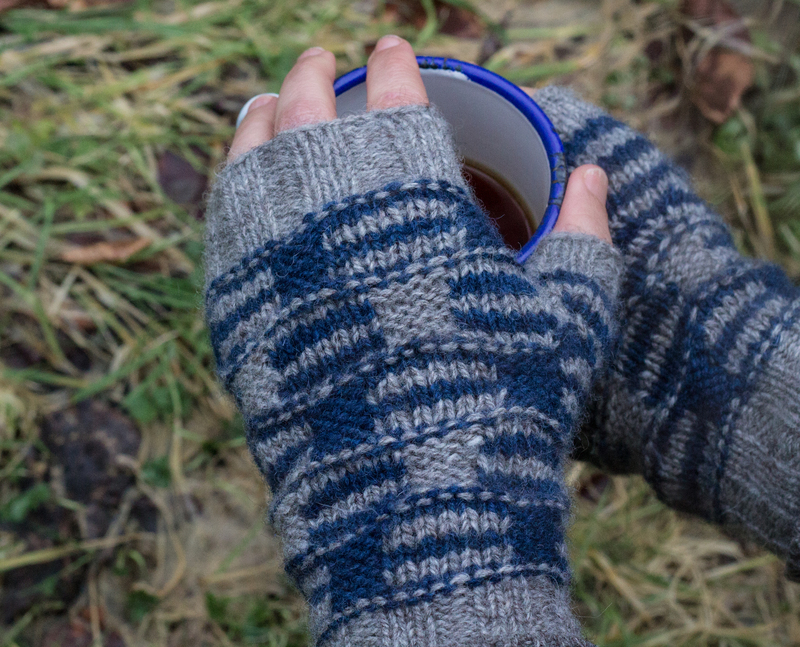 Mitts and a cup of tea are the first things I reach for when I get out – perfect for warming my hands as I’m getting changed. The pattern requires 65 m / 70 yds DK weight yarn, in two colours. It is recommended to chose a soft, warm yarn with a high wool content.